Pluma Hidalgo is a Zapotec mountain village high in the Sierra del Sur mouuntains in Southern Oaxaca. Perched on Cerro de la Pluma (Feather Hill), Pluma Hidalgo is a simple town with one main strip, paved with cobbles. It's local market, with sugarcane, beans, pineapple, mangoes and lemons belies Pluma Hidalgo's influence as the center of Oaxacan coffee. Pluma coffee is recognized around the world for its distinguished and penetrating aroma. 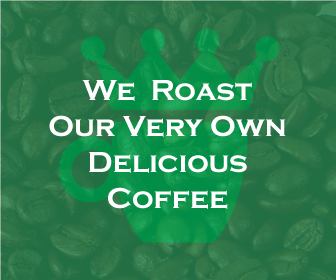 It is said that the coffee’s aromatic scent is so strong that an open bag of fresh roasted coffee will fill a whole house with its smell. This last feature seems to be caused by the two different kinds of air that reach Pluma Hidalgo: the salty breeze from the nearby Pacific Ocean (that can be seen in bright and drafty days from certain viewpoints of the mountain village) and the cold wind coming down from the cliffs that surround the town. Today's Pluma Hidalgo coffees yield a light to medium body with very moderate acidity; delicate overall with clean chocolate qualities and hints of sweet raspberry. Oaxacan coffees are considered classic Mexican coffees and very distinct from the excellent Chiapas coffees of the south. Often difficult to source because of limited production, you'll enjoy our Pluma Hidalgo's quality and unique taste.